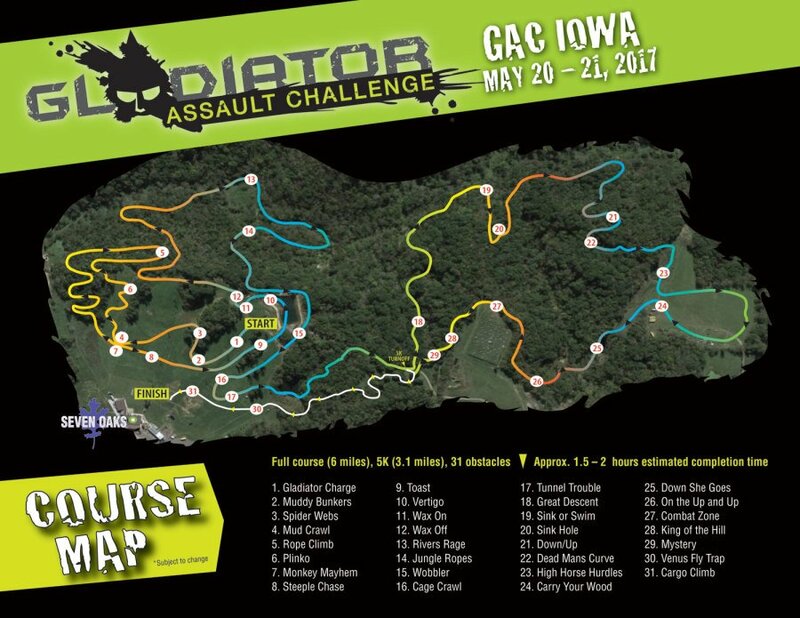 Register for the Gladiator Assault Challenge today! 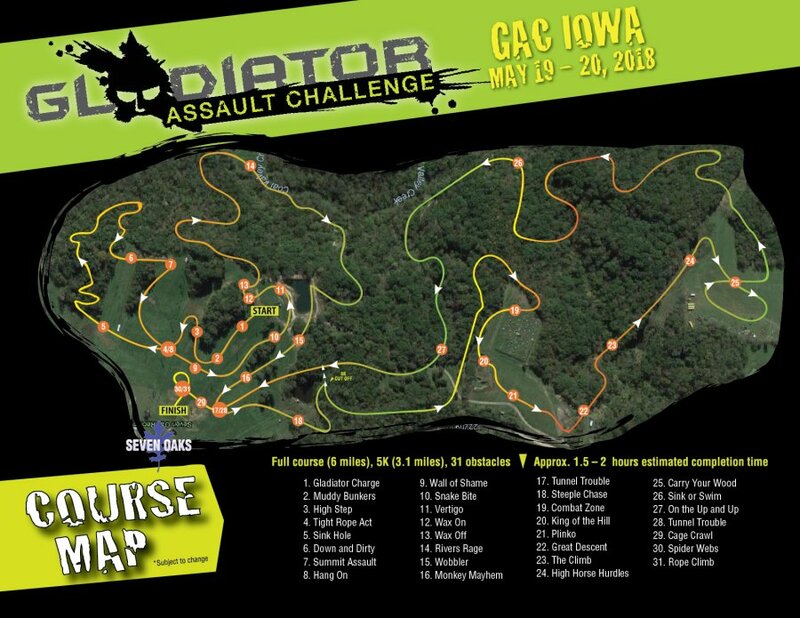 Registration prices will increase on January 1st, February 1st, March 1st, April 1st, and May 1st. To stay updated with the latest news and events, please click the button below and "Like" our Facebook page. To stay updated with the latest news and events, please follow us on Facebook by clicking the button below and hitting "Like" on our page. 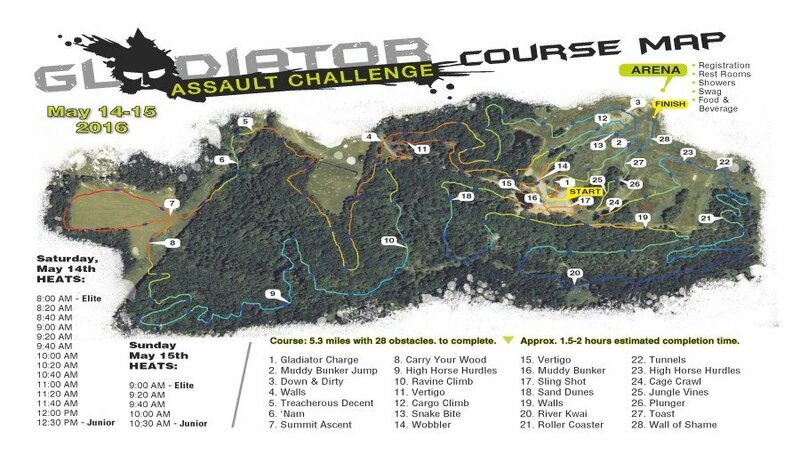 All participants will receive a finisher t-shirt, Gladiator Medal, finish line fruit and drink. 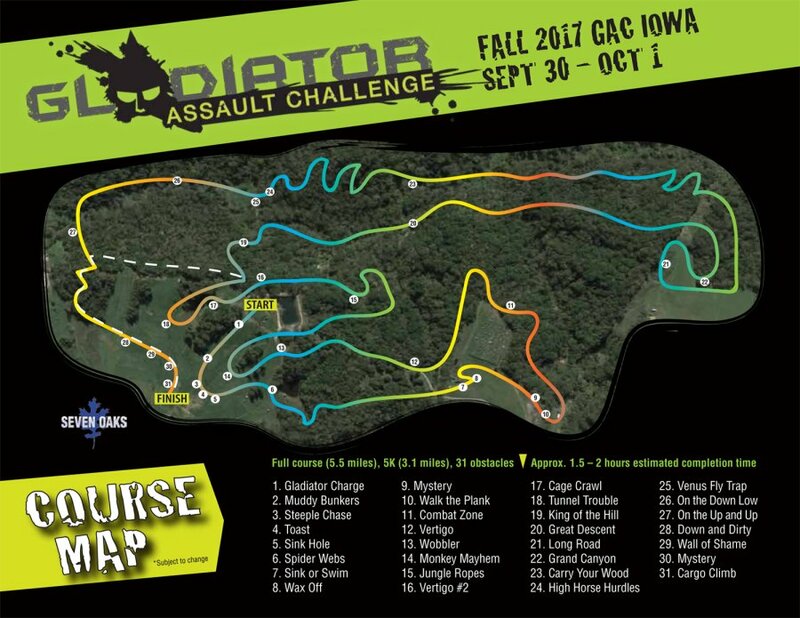 Starting in 2018 the Gladiator Assault Challenge will be self-timed. 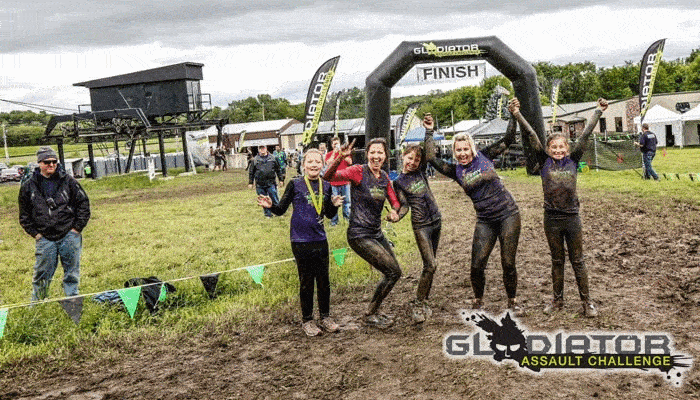 We have seen over the past years that timing has not been a priority to the majority of our participants and therefore are going to focus those efforts on improving the course and obstacles. The only results that we will be publishing are the winners of the Elite heats both Saturday and Sunday. There will be a clock at the finish line so you can check your time as you finish.